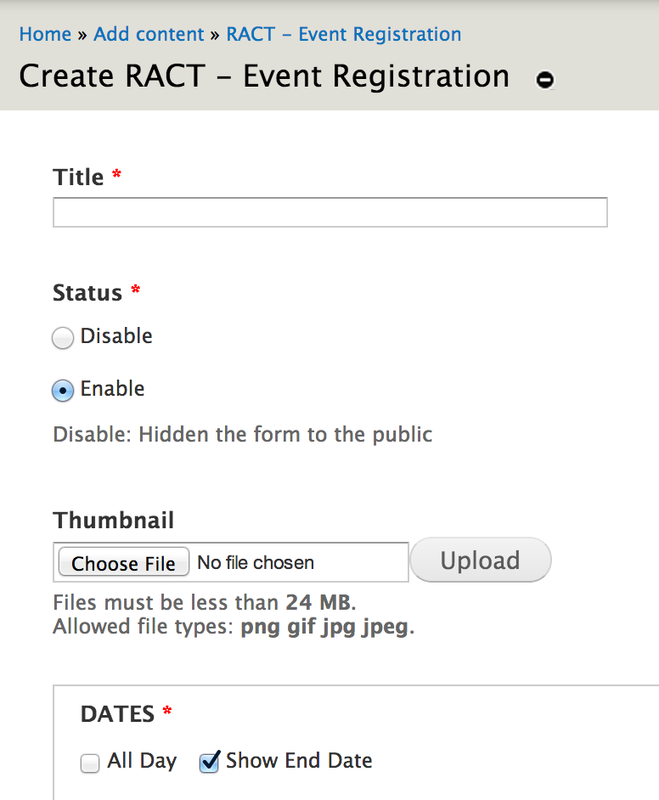 Click Create Event Registration Form from the Grey bar as shown in the image below. Fill out all the information and hit save. 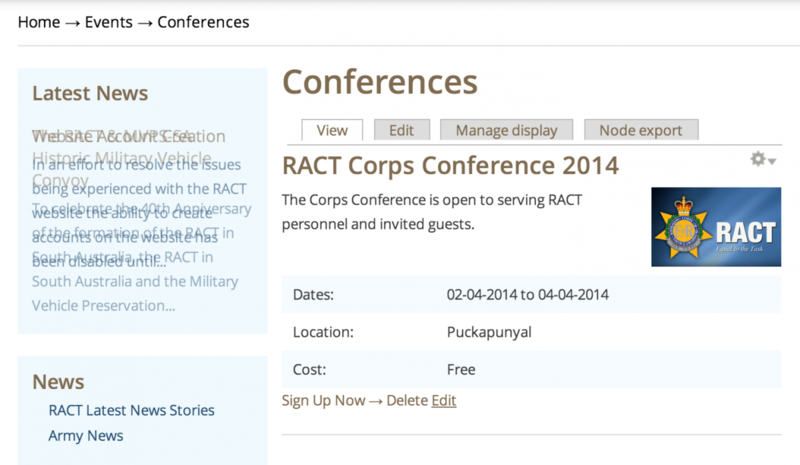 Once it is saved, a new event will add to the conference page. Now Navigate to the conference page and click the "Edit" button below the event you just created, and click the "Webform" Tab. Add any fields you need (e.g textfields, select lists or checkboxes etc.). Once you finished adding all the fields, hit save. Unlike Paid event, which will send out email notification via the shopping cart, we need to manually config the email notificaftion for Free Event. 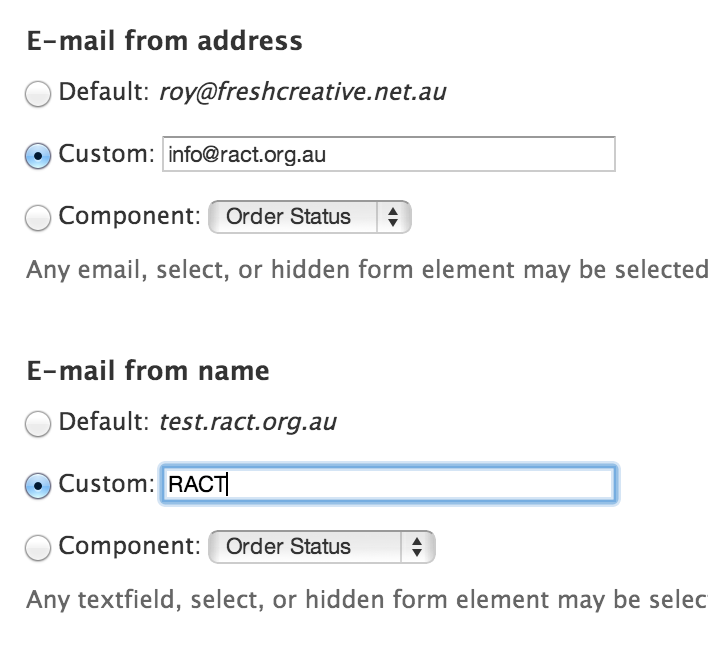 Once the email field is created, click the edit button next to the field and it will then redirect you to the email field setting page, make sure the checkbox below is checked. Hit Save Component when finished. Scroll to the middle part of the form setting page and under Redirection location, enter a Custom URL - complete (please beware, settings for paid event is different as we want to send people to the cart instead of complete page), when all finished hit Save configuration, the form should be ready to use now. 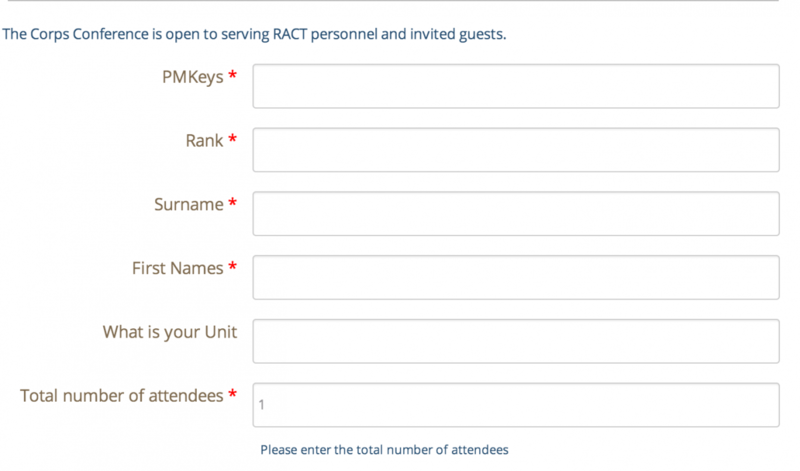 Before we start, please remember that an event registration is mainly formed by 2 major components. For the idea of the products, it's just like a price tag, one product attached to the webform is representing one price setting. So let me explain it with a real world example, lets say if you have a event called "Dinner Party 2014" and it comes with 2 different prices, Free ticket for the members & $10 ticket for the public. So we have 2 price settings (i.e. Free $0 & Paid $10 ), as I said one product is representing one price settings, therefore in this case we need 2 products attached to the registration form. Now i will show you how to create 2 products (Free and Paid). First of all we need to create the products (The Best practices is always create the products first). Click Create Product from the Grey bar as shown in the image below. Once you clicked on the link, it will pop up a create product form, Please name the title something relevant to the events (e.g. Dinner Party 2014 - Paid Member ), Now, scroll to the bottom of the page and enter the SKU ( just enter an unqiue key string to idetitfy the product e.g. dinner_2014_paid ), then change the Sell price * (Ignore List Price and Cost), so in this case we will enter $10. Hit save when all finished. Now please create another product for Dinner Party 2014 - Free Member with Sell price 0. 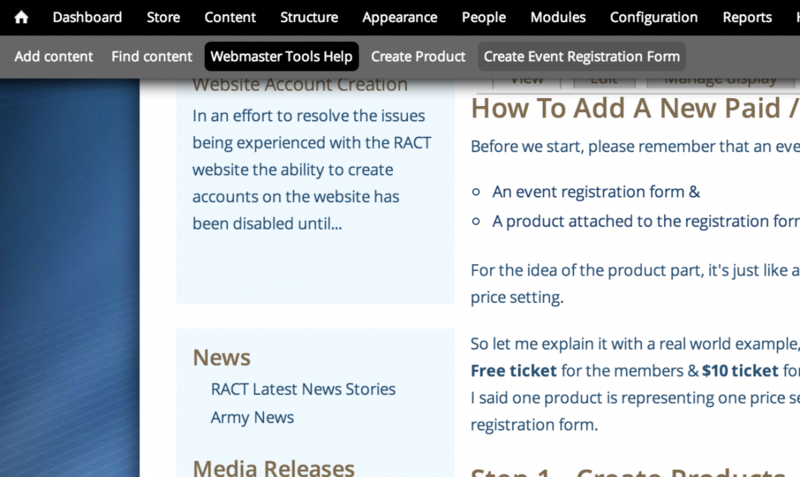 Once you created all the products you need in Step 1, we can now move to the second step and create a event registration form and attach the products to it. Add any fields you need (e.g textfields, select lists or checkboxes etc.). Once you finished adding all the fields, you now can attach the products you created in Step 1. 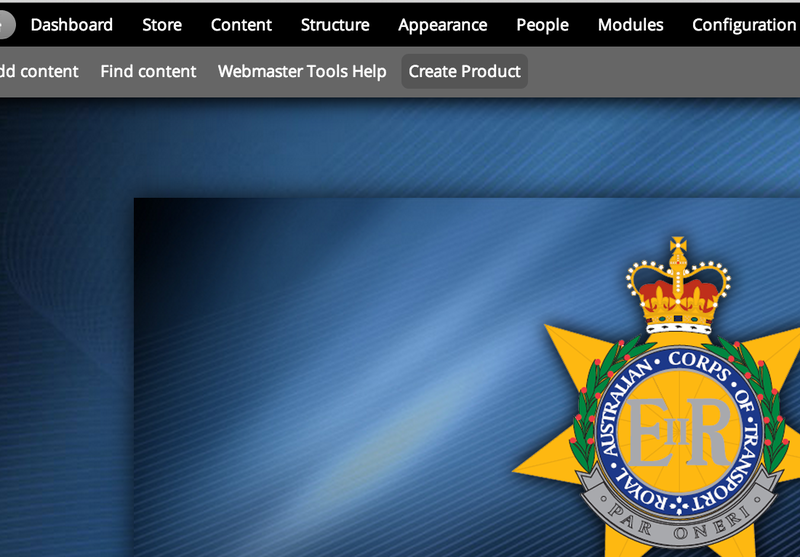 Enter the title, select product type and press the "Add' button, it will then redirect you to the setting page. 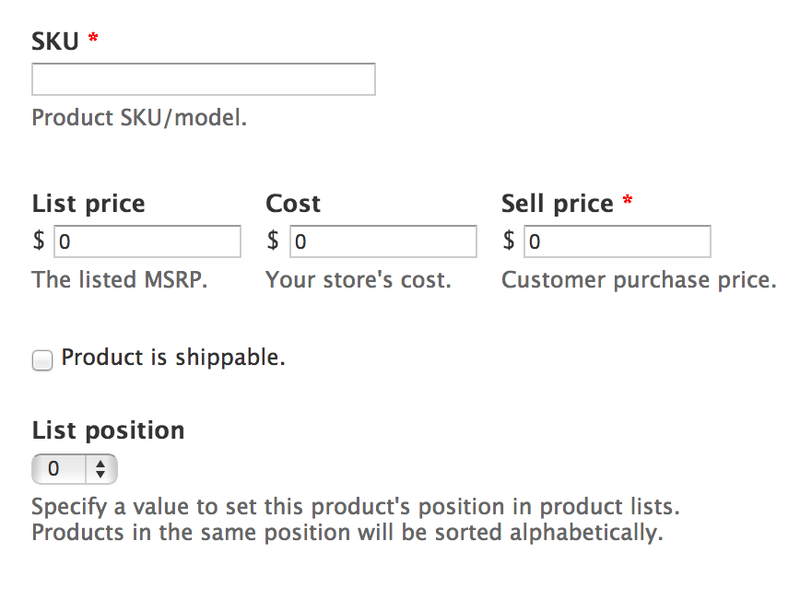 Now simply enter the title/keywords into the product field to search the product you just created. e.g. Dinner Party 2014 - Paid, the system will automatically search for the product you created, hit save component when finished. Now back to the form tab and add another product for Free members. Scroll to the middle part of the form setting page and under Redirection location, enter a Custom URL - cart (please beware, settings for Free event is different as we do not want to send people to the cart), when all finished hit Save configuration, the form should be ready to use now. You can always access the event registration data by clicking the "Results" tab. If you want a copy, you can hit the "Download" tab, which allow you to download the result in both CSV / XLS (Excel) format.